There is no better way to learn about wedding planning than to take a peek at a wedding planned by a friend. My lovely friend Siobhan gave me the inside scoop on planning her August 16, 2014 wedding. The outdoor ceremony took place at private residence in Langley. The couple invited sixty of their closest friends and family to take part on this special day. 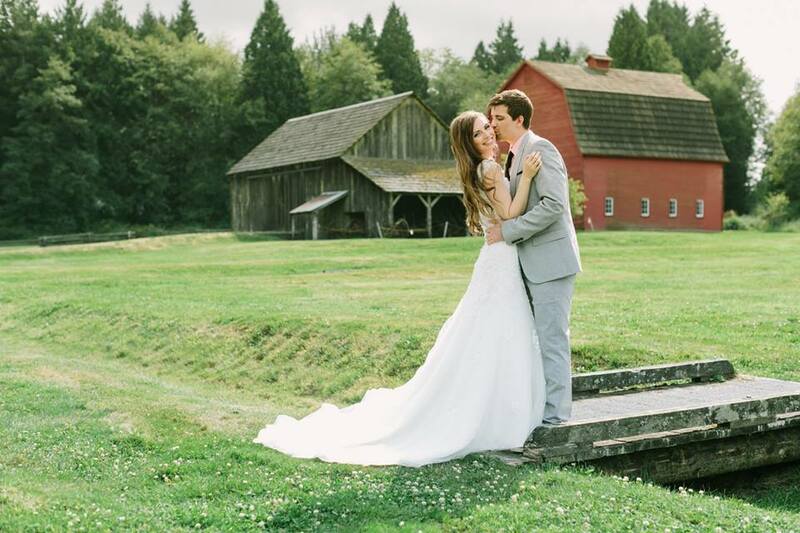 The couple chose a local vendor, Coast & Country from Cloverdale, to cater the occasion. While the weather called for some rain, the couple was lucky to have an overcast day that shielded them from the blazing August sun. The ceremony was personalized by a piano duet from the brides mother and sister. Following the ceremony was an exciting reception that featured a band that performed all the greatest hits, while guests drank from personalized wine bottles. If you weren’t dancing to the music, you were taking photos behind the breath taking photo wall built by the groom and his father. The photo wall featured a hand controlled camera and dozens of fun costumes. Special thanks to Siobhan for letting me profile her special day! Leave a comment and let me know what your favourite part of her wedding was!